One of my greatest blessing is having the opportunity to help others while doing something I enjoy. I grew up my hometown of Gainesboro in our family funeral business. My Daddy built that building with his own hands. He taught us the value of serving others, helping people in time of need. The people continue to be the reason that I love real estate. I'm grateful to the many great friends, family and students that I have been able to help in my career. Being a realtor is hard work. Social connections are important, but learning the tools to successful business management are vital. Realizing that you are responsible for factors like paying for your own insurance medical, dental, paying quarterly taxes, and business expenses. But if you love it, it can be very rewarding both financially and emotionally. Giving back to my community is important to me. The community aspects of my life include my husband/children, their activities, family, church family and friends. Being a teacher was a wonderful experience for so many years. Working in the corporate sector with Averitt taught me much. These combined life skills help me balance my ability to help people solve the opportunities that come with real estate. Every day is different. It's given me an incredible group of people to assist. Life is more about making a difference than just a living. 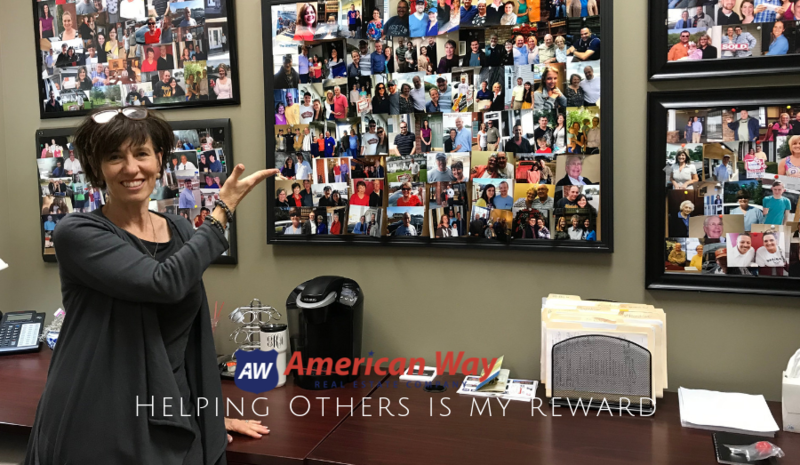 If you would like to talk to Gina or find out more about joining our company contact William Baugh at 931.526.9581 or email him williamb@american-way.com.